Top sources told Express that Bhandari, charged under sections 3 and 5 of the Official Secrets Act (OSA), had close links with OIS Europe. 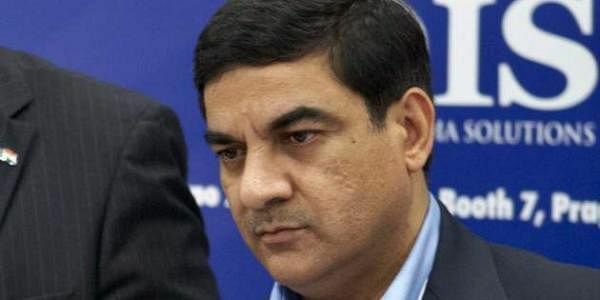 NEW DELHI: On June 7, 2016, when arms dealer Sanjay Bhandari was being grilled by Income Tax sleuths in New Delhi, Piccadilly, London-based company, OIS Europe Limited, filed an application with the companies house at Cardiff to strike off the company from the register. Investigation details exclusively reviewed by Express reveal that ‘OIS Europe Limited’ (No. 07283999) was dissolved on August 23, 2016. Bhandari, sources said, was a frequent flyer to the UK, Czechoslovakia and Poland and they suspect the fugitive arms dealer may have used companies registered abroad to launder ill-gotten wealth. “Sumit Chadha, who came under the scanner after IT seized several email exchanges regarding a property in Bryanston Square in London, was one of the directors of OIS Europe. We are probing further into the company and its transaction details,” said a source. It is learnt that the Financial Intelligence Unit (FIU-IND) has sought help from its counterparts in Europe and the Middle East to uncover the alleged ill-gotten wealth of Bhandari, suspected to be holed up in the London suburb after he fled India last year. Express first broke the story in December last that Bhandari may have reached London via Nepal. The investigators have sought banking transaction details of at least 10 companies linked to Bhandari in India and abroad. The recent move by the FIU, the key agency to probe deeper into cross-border wire transfers and purchase of properties through money laundering, came after the Income Tax and Enforcement Directorate probing Bhandari’s mysterious disappearance sought its help to gather financial transaction details through its existing global network. The FIU is examining the account books of OIS Aerospace Private Limited that was floated by Bhandari in 2013 and mainly functions as its Indian offset partner for international manufacturers. The transaction details of another firm being sought from the foreign counterpart is Avaana Software and Services Private Limited that was floated in January 2004 and Offset India Solutions Limited, incorporated in 2008. Bhandari as its director. Santech Petro Global Private Limited, floated in 2010 with Bhandari and his wife Sonia as directors is also being scrutinised. The ongoing probe is also examining Bhandari’s links with Thales group, a French multinational firm and European Aeronautic Defence and Space Company that makes commercial and military aircraft, space systems and other defence products. Bhandari, investigators suspect, is involved in IAF’s basic trainer aircraft purchase for which a deal worth around Rs 4,000 crore was signed during the UPA regime in 2012.